Crack out the deckchairs, it’s time for a trip to the seaside! Blackpool will be the venue for the Royal London One-Day Cup clash between Lancashire and Nottinghamshire – with the Outlaws looking to continue their exceptional run of form. Notts have racked up a whopping 860 runs across their two successive One-Day Cup victories at the start of the new campaign. In last Monday’s match against Northants at Trent Bridge, the teams broke the record number of runs in a One-Day fixture in England, with Notts posting the second-highest ever List A score of 445 only for the visitors to come within 21 runs of their remarkable total. And they continued to make the most of the ludicrously favourable batting conditions at home against Warwickshire, posting 415 from their 50 overs. But once again Notts leaked a huge number of runs, with the Bears making 379 in reply. So the Outlaws appear to be adopting a ‘we’ll score one more than you’ approach to the One-Day Cup. While their bowlers have also suffered at the hands of the dream Trent Bridge batting surface, their batsmen have ensured two victories. In particular, Michael Lumb has been in extraordinary form and is making himself a hard man for England to ignore. He made 184 from 150 balls against Northants, while putting on the highest ever One-Day partnership in England of 342 with Riki Wessels. And Lumb followed that up with another century against Warwickshire, this time making a mere 133 from 108 balls. 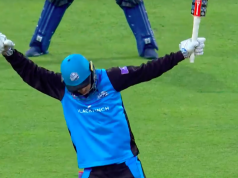 A T20 Blast washout against Derbyshire on Friday halted his hot streak – one he will be looking to continue on the Fylde Coast against Lancashire. The Lightning have won one and lost one so far – against the same two teams that Notts have faced. Last weekend Jos Buttler starred with the bat before they delivered a superb collective bowling performance in victory over Warwickshire. But Ashley Giles’ side fell short against Northants in midweek, slipping to a rather comprehensive 76-run defeat. 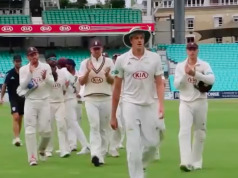 A thrilling T20 Blast win over Leicestershire in a rain-affected clash on Friday leads them into this game on a high, with the Lighting desperate to reach a first Lord’s final since 2006. An inconsistent start to their T20 Blast title defence has placed extra emphasis on the One-Day Cup, as the white ball formats dominate this stage of the county season. Buttler continues to be crucial to their chances and was instrumental in victory over Leicestershire. If he and Lumb fire, you rather feel Blackpool simply won’t be big enough. England’s One-Day keeper may have his sights fixed on threatening Blackpool tower while Lumb will be hopeful of making it three centuries in a row. 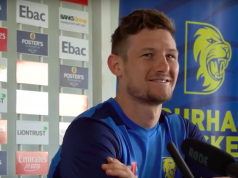 While Buttler was a crucial man in Lancashire’s T20 victory over Leicestershire, the main contribution in that dramatic run chase came from Jordan Clark. The all-rounder, omitted for the first few games of the white-ball season, has come in to the side and made himself a vital cog. His 31 from just 12 balls on Friday came after he claimed impressive figures with the ball of 3-0-15-1. Clark has made himself a key bowling option for skipper Steven Croft and offers destructive firepower with the bat in hand. Lumb would be an obvious key man for Notts, but as they say it takes two to tango. Wessels has been mightily impressive in a supporting role at the top of the order with scores of 146 from 97 balls and a run-a-ball 76. Notts have been destructive in the first powerplay and Wessels has been crucial in posting two mammoth opening partnerships. He has carried his T20 form, where his last three scores have been 52, 38, 58, into the One-Day Cup is a real threat to Lancashire’s hopes. Martin Guptill hasn’t recovered from injury in time to return, meaning Tom Smith is likely to open alongside Petersen. Luke Procter’s half-century on his return to the side against Northants should ensure his inclusion while Arron Lilley may feature if Lancashire choose to include three spinners in their ranks. Dan Christian has been explosive in the two matches so far and will again skipper the side from middle order. Jake Ball will be available to spearhead the seam attack after being released from the England Test squad while Samit Patel will provide Nottinghamshire’s main spin option. The forecast is not looking good, with rain set to affect at least part of the day’s play – possibly threatening the chances of a result. Blackpool was a tricky pitch to bat on in last year’s One-Day Cup clash against Middlesex and may well prove to be so again tomorrow.